Congrats are in order to The Wigwam Resort in Litchfield Park. The resort has been named to GOLF Magazine and Golf.com’s prestigious “Premier Resorts” rankings for 2016-17 – the biennial guide listing the greatest golf resort destinations in North America. A total of 112 golf resorts were named to either the Gold or Silver Medal categories. The Wigwam’s Robert Trent Jones Sr.-designed Patriot Golf Course is currently undergoing an extensive bunker and irrigation system renovation. The project is expected to be completed by this September. In the summer of 2015, The Wigwam’s famed Gold Course, also an RTJ Sr.-design, underwent a similar renovation. During the Gold Course renovation process, the Lehman Design Group eliminated 30 bunkers and relocated and reshaped numerous others. Bunkers were strategically placed for today’s game, while fairway/target lines were moved left and right off the tee, thus eliminating the straight “bowling-alley feel” the course once had. The Wigwam’s three 18-hole championship golf courses offer a diversity that cannot be matched by any other Arizona resort. 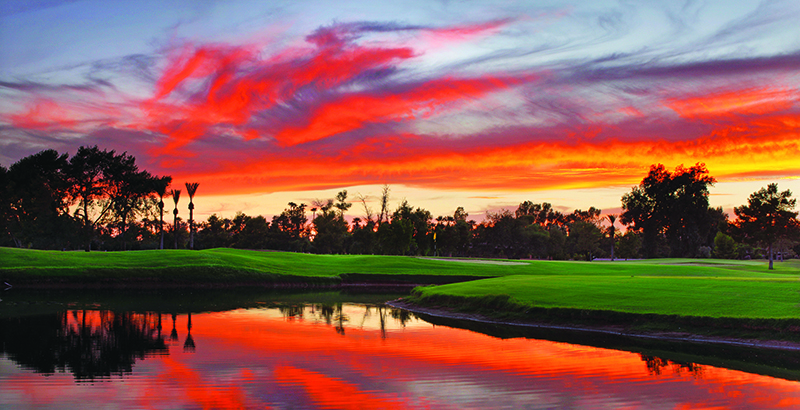 Here, the golf enthusiast has their pick of not just one or two courses, but three 18-hole courses – 54 holes of championship golf including two courses designed by the legendary Robert Trent Jones, Sr. And, in true Wigwam style, each course – The Gold, Patriot, which just celebrated their 50th anniversaries, and Heritage – offers a unique challenge that adds spice and variety to one’s stay at this timeless and relaxing retreat. In December 2009, The Wigwam (including the golf courses and resort property) was purchased by JDM Partners, led by sports icon Jerry Colangelo. For more information, please visit www.wigwamgolf.com. Voting for the “Best Golf Resorts” was based on four criteria: golf, lodging, food & drink, and service. Forty percent of the resort recognition was based on golf, considering factors such as challenge, playability, scenery, history, facilities and service. The rest of the score was equally weighed among lodging, food & drink, and overall service at the resorts.